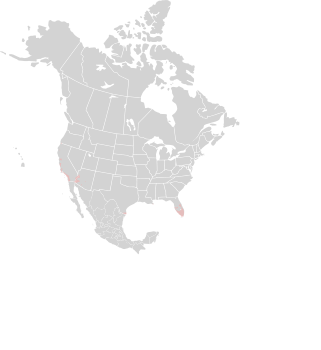 Neoregelias are members of the bromeliad family, and are from eastern Brazil. This cultivated variety is not found in the wild. 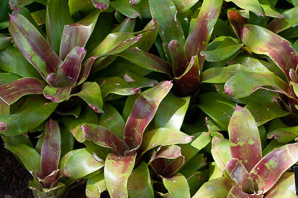 It is a cross between Neoregelia ‘Catherine Wilson’ and N. carolinae. Identification: Plants are up to 8" (20 cm) high × 22" (55 cm) around, with thick, shiny leaves emerging from the center of the plant. The leaves have a patchwork of burgundy tints, and form a small watertight center which stores rainwater. Flowers appear in the center, and may be red, pink, purple, or magenta. Neoregelia ‘Maya’ description by Thomas H. Kent, last updated 12 Oct 2018.